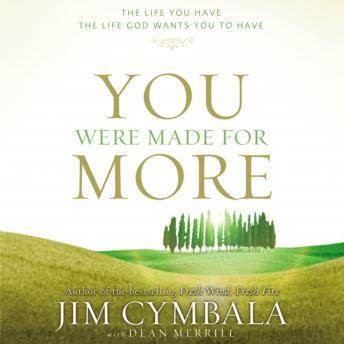 Whether you feel restless or satisfied right now, Jim Cymbala believes that God has more for you. In this new book, he’ll help you find out how to access the “more” God intends---more peace, real joy, and a deeper sense of purpose. As you open yourself up to the “more” of God, you will also discover your unique work assignment---the one thing God is calling you--and no one else--to accomplish for the sake of his work in the world.